Tarte Tartelette 2 In Bloom Amazonian Clay Palette for Holiday 2015 | Top Beauty Blog in the Philippines covering Makeup Reviews, Swatches, Skincare and More! DEAL: Get free deluxe Smooth Operator Finishing Powder with any $30 Tarte purchase. Offer valid from 11/8/15 to 11/28/15 or while supplies last. Calling all firecrackers, flower children, activists and sweethearts! Discover 12 stunning Tartelette shadows to set your beauty routine into full bloom. With 9 mattes and 3 lusters, these lid liner and crease pairings allow you to create stunning, smoldering looks without the guesswork. 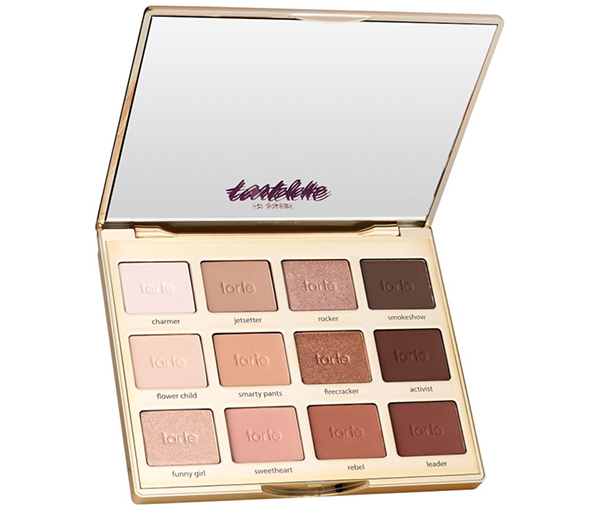 Powered by Tarte's signature Amazonian clay formula, you'll get the same pigmented payoff, blendability and weartime as the original tartlets - all in a chic, portable palette with a beautiful floral twist. Seems like a great palette! Wow, looks like an amazing palette. I would love try it.